Over 200,000 people working in FE have completed training to help them understand their duty to prevent the radicalisation of learners, FE Week can reveal. The Education and Training Foundation launched the online support programme in September 2015, when the government first applied the Prevent duty to the sector. FE teachers, trainers, leaders, support staff and governors have all been involved. “The take-up from professionals and institutions shows the high level of commitment the FE sector has had in responding to the potential risks posed to their learners by extremism,” said the ETF’s Prevent duty expert Selina Stewart. “Sadly, these are issues which are not going to disappear in the near future, so it is vital that the current level of take-up of the modules continues. 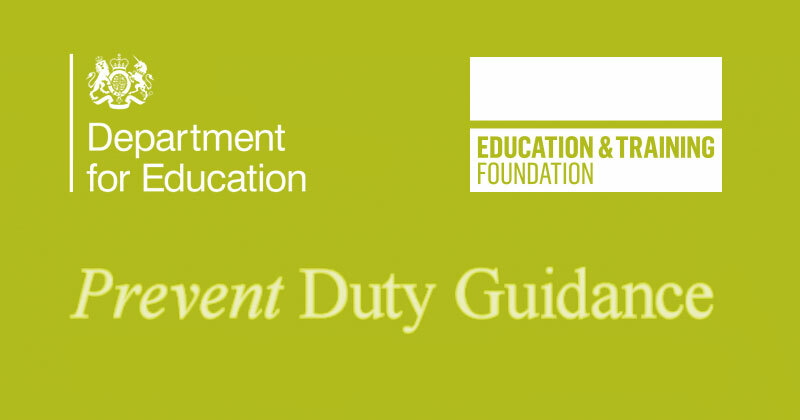 More than 70,000 have also completed the ETF’s online Prevent duty awareness course for learners. This initiative, also funded by the Department for Education, is designed specifically for the sector and called Side by Side. It covers the dangers of radicalisation and extremism, online safety, deciding what learners can trust, British values and how they can apply them in everyday life. Prevent places a legal expectation on providers to have internal policies and procedures in place to stop “people from being drawn into terrorism”. Legal obligations, which are carefully monitored by Ofsted, include upholding “British values” and being “aware of when it is appropriate to refer related concerns about students, learners or colleagues” to the institution’s Prevent officer. Such cases must then be reported to the relevant authorities. An ETF spokesperson explained the online courses were developed in response to “widespread concerns” from FE staff that they were “getting it wrong” when “developing materials for learners to tackle radicalisation and extremism”. Visit http://preventforfeandtraining.org.uk/ to find out more.